This week we challenge you to throw on something comfy and hit the Farmer’s Market, reusable grocery bag in hand. Now is the perfect time of year to plan this season’s meals around locally grown, fresh vegetables. Grilled, sauteed or even raw – There’s nothing quite as satisfying as biting into something of the earth (rather than the freezer aisle). 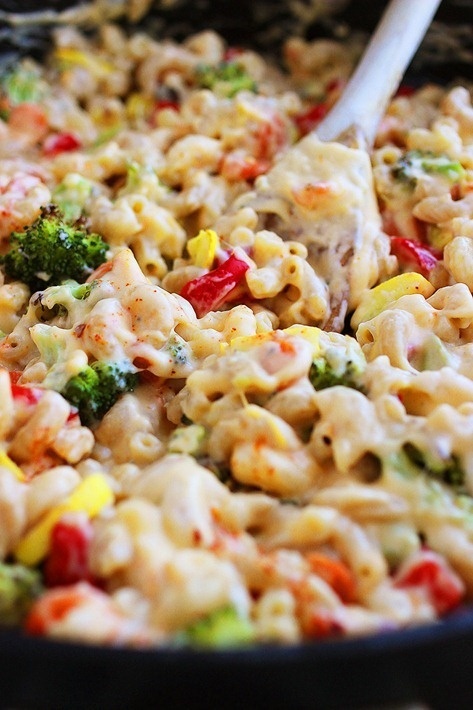 This recipe for Spicy Roasted Vegetable Macaroni and Cheese looks good enough to eat – Literally! The post Pin of the day | Spicy Roasted Vegetable Macaroni and Cheese appeared first on Le Papier Blog.